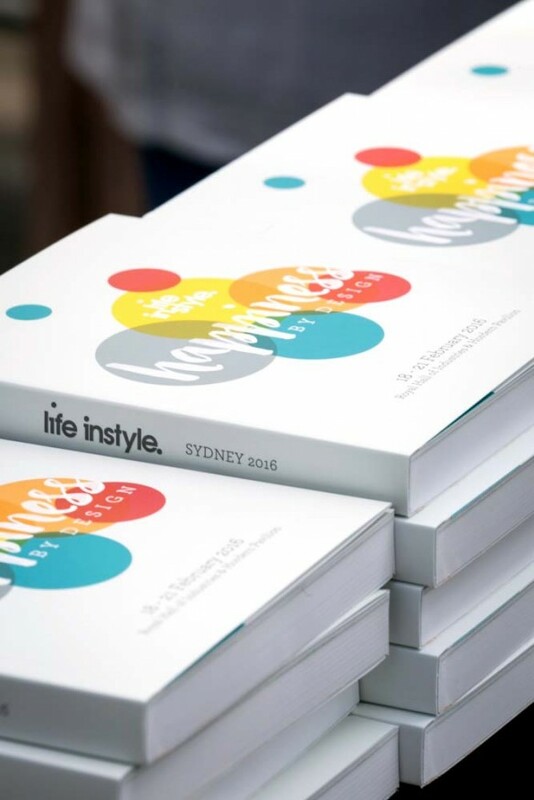 The Happiness By Design edition of Life Instyle has drawn to a close and with it another beautiful Sydney sourcing season. 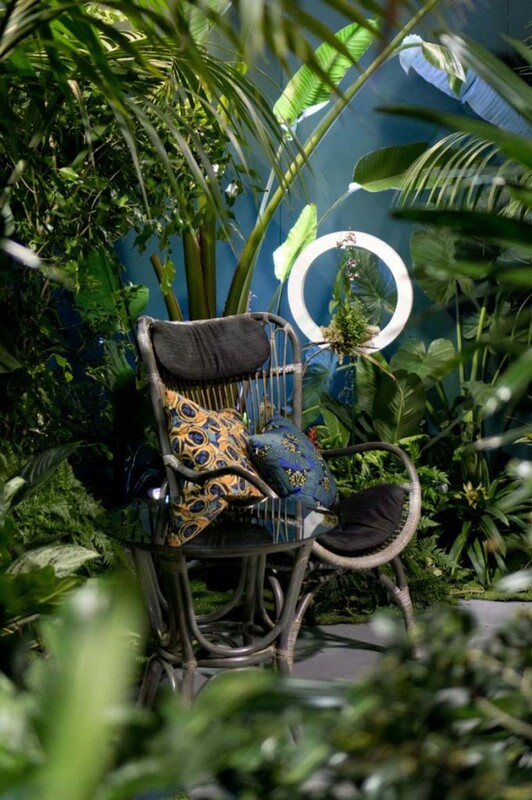 In realising the Happiness By Design concept on the show floor, I was thrilled to bring together a wonderful array of companies, designers and makers to collaborate with us on the different ambient spaces. A huge thank you to everyone who came on board, sponsors, designers, visitors, exhibitors and media who joined us for our inaugural Bloggers Breakfast! We developed the various ambient areas to reflect different interpretations of happiness – an elusive and subjective emotion that has no single interpretation and no perfect fit. 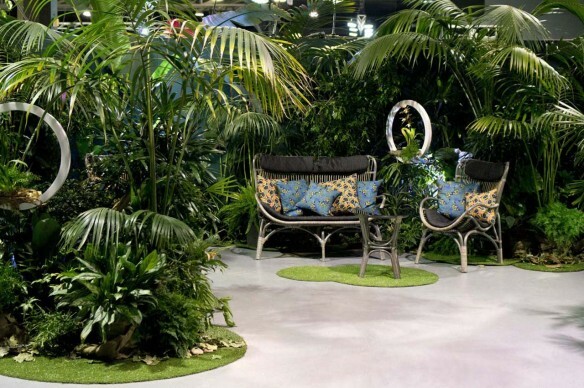 However, as a passionate green-thumb, it felt only natural to welcome visitors into the show through a tropical oasis, the Happiness By Design garden, created in collaboration with landscape designers Dirtscape Dreaming and Pigweed. 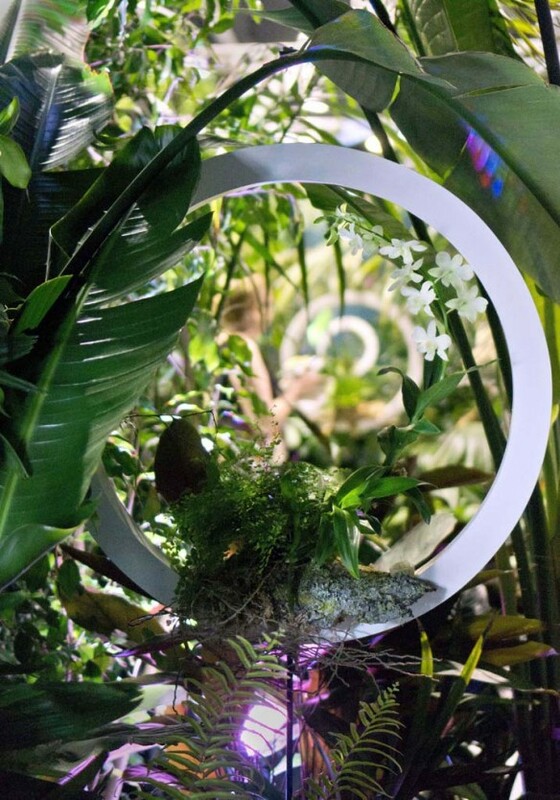 This multisensory installation was designed to visually unite with the circular theme of the season’s branding and offer visitors a small sanctuary to reset their mind before entering the fair or return to and gather their energy after many hours on the show floor. 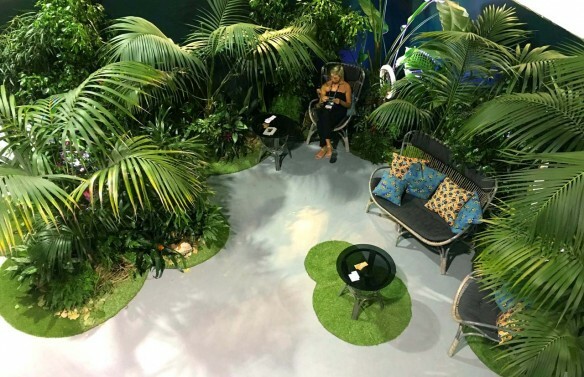 As a designer, I was most flattered to notice how popular the space was for nursing mothers! A perfect little retreat to settle the little ones with the organic aromatherapy and rainforest soundscape introduced to calm the mind and seduce the senses. 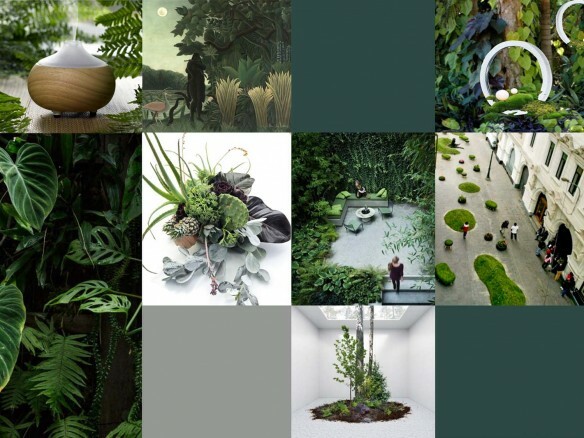 We approached Melbourne-based landscape designers Dirtscape Dreaming to work with us on this area as they specialise in creating gardens that promote healing and wellbeing. Keep an eye out on the Life Instyle blog for a Q&A into the creative process with Dirtscape Dreaming director Betsy-Sue Clarke. In the Royal Hall of Industries, we tempted even the most restrained with an interactive installation of porch swings suspended from the rafters! 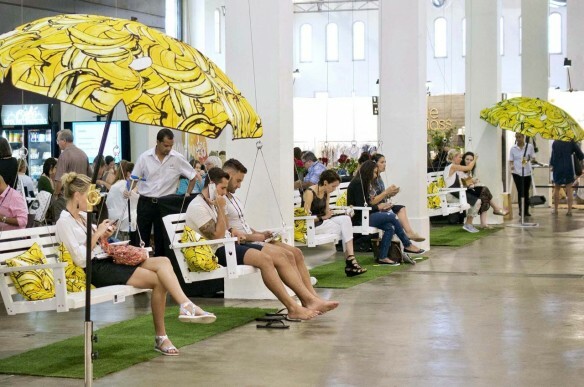 Simple pleasures complemented by the bold outdoor furnishings from Basil Bangs. 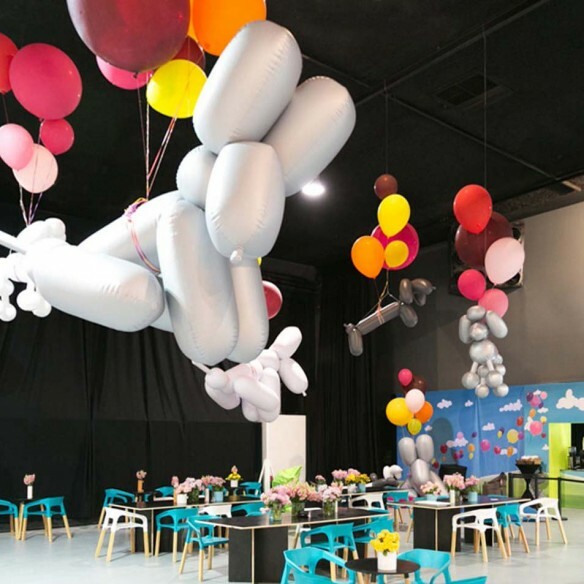 For the Kids Instyle café we were thrilled to collaborate with HUB furniture who shared with us their wonderful collection of Fatboy® inflatables and beanbags. As Albert Einstein said, creativity is intelligence having fun. This season we encouraged the creative mind to wander as it is so often that daydreams become revelations. 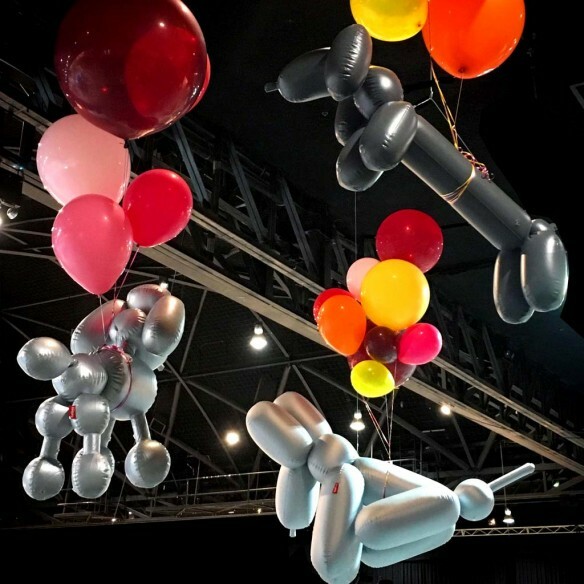 Special thanks to illustrator Pegg’n’chops who brought the concept to life with a feature façade of illustrated balloon dogs, realising their dreams and learning to fly up, up and away! 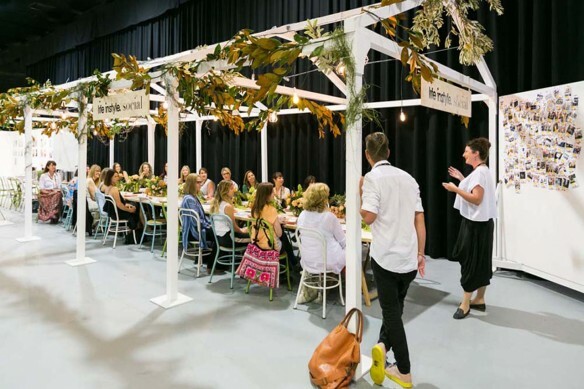 We hope you enjoyed another fabulous edition of Life Instyle and can’t wait to share the concept we’ve developed for the next show – Melbourne, 4-7th August 2016!